Fact: Because of rapid developments in infertility management, there is no longer a clear stopping point for possible infertility therapies. It is helpful for prospective parents to look into alternative means for starting a family early in their infertility work-up - remember, taking infertility treatment and considering adoption are not mutually exclusive choices! Just because you are taking treatment does not mean that you are not "committed to adoption"; and just because you are considering adoption does not mean that you are decreasing the chances of the infertility treatment as a result of your "negative attitude". Often, couples pursuing infertility treatment may actually begin to see how an adopted child could be a good choice for them. 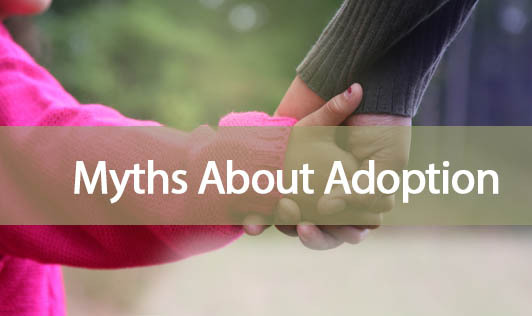 Myth: Since India has an over population problem, with so many unwanted children, adoption is a "better" choice for the infertile couple than taking treatment. Fact: You cannot force someone to adopt a child, and adoption is not the best solution for all infertile couples. They need to be able to make their own choice. While adoption is a reasonable solution for some infertile couples, this is a choice which they have to make for themselves.